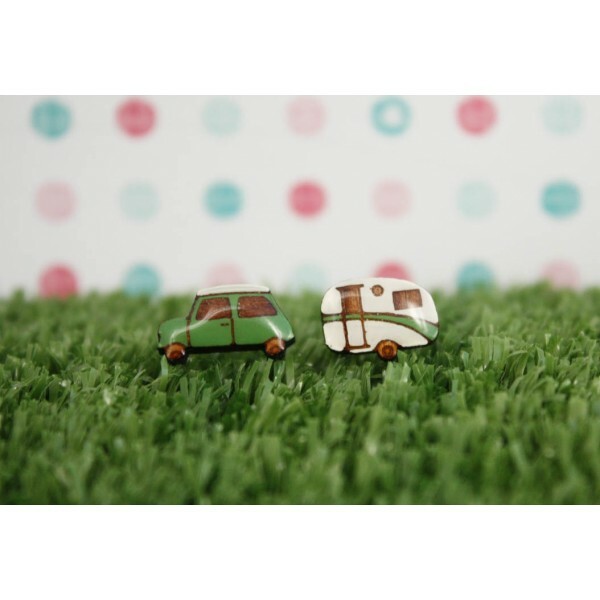 These Australian made Car and Caravan Green Earrings are sure to be the perfect finishing touch to any outfit. The earrings are hand painted before being sealed with a jewellers grade resin. The earring backs and posts are surgical steel.